Congratulations to Holly who just got engaged to Jeremy about a week ago!! Ali and Dan are moving to Ohio and Thanh is out gallivanting on the other side of the planet. At least we'll all come together again for Holly's wedding. Last weekend, Byron, Shea, and I traveled to Ozona Florida to visit Chris, Cheryl, and the Noel warehouse (pics located here). 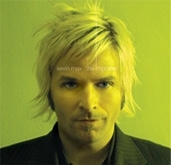 Before going to Ozona, we stopped by the Florida Aquarium and went to Real Fest to see Kevin Max. Coincidentally, Dave and Lori were also at Real Fest! It was a great little getaway from the hectic work week. Speaking of, Nagesh has been in Florida for the past month helping complete the audio features for Racer. He heads back to Bangalore on Monday, but not before a big feast at our place featuring lobster, swordfish, and vegetarian stuffed shells. Jorge, Charbel, Kathy, Hoi Yen, Byron, and Shea should also be joining us tomorrow. This is also, in part, to eat all the food in our freezer before Sam leaves to Malaysia on April 11. Congrats to Arnie and Ali for getting married! !